Each year at Camp, we are honored by the presence of a hugely talented full-time staff, as well as a remarkable roster of guest superheroes who generously offer to come and share their area of speciality with you. Each of these teachers join us at Camp because they believe that those who feel sincerely compelled to learn these arts and skills deserve to be taught. Camp features a shifting cast of these wonderful healers, artists, ninjas, ace scholars, witches, masters of space and time, and superior practitioners of the Magical Arts. He is a holistic intuitive bodyworker and the creator of Mystical Tai Chi. For 18 years, he has guided and assisted clients in their healing, and he has mastered the dynamics of guiding groups and individuals through transformative experiences. Jordan has been practicing Tai Chi for 18 years and loves sharing his insights into this transformative moving meditation with others. He teaches in groups and privately to actualize healing, increase awareness of energy's power and potential, and ultimately, to elevate others in expressing the divine truth that we are infinite creative beings. He is also an amazing dad, and an all-around goofy good time. She is a feminist witch, ritual guide, humanistic educator, bug lover, healer, intentional cook, and radical human being who has been a vital core element of Crystal Camp since the very beginning. She is passionate about NVC and empathy-based communication, alternative education, and being with children and adults in ways that are deeply honest, loving, creative, honoring and empowering. She graduated in 2005 from the Spiral Door Women’s Mystery School, a comprehensive 4 year priestess training program in the Dianic tradition, and currently works with clients to facilitate the creation of ritual space in their daily lives. 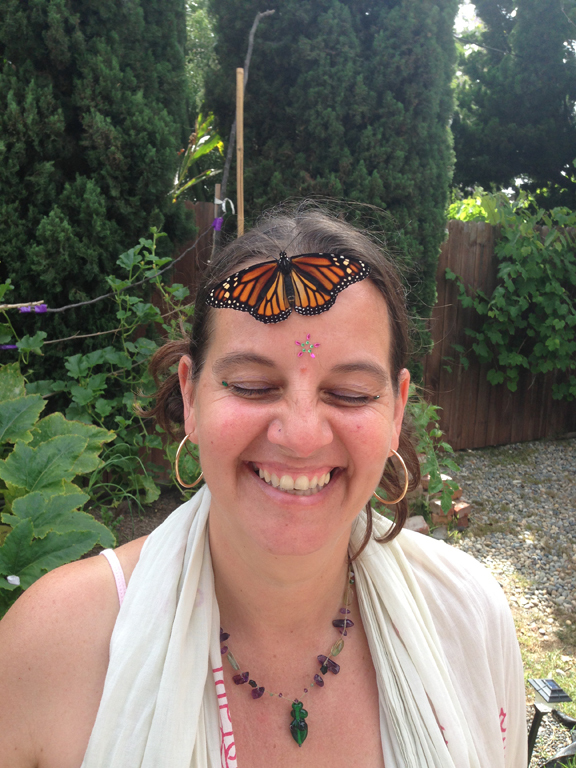 Tracie is also the creatrix of Peace, Love and Bugs, a traveling play group that brings exotic and mundane creatures to schools, and other gatherings to promote children's awareness of and care for the world. She believes that by sharing her love and respect for these small insects, kids will continue to protect and nurture Mother Earth for generations to come.